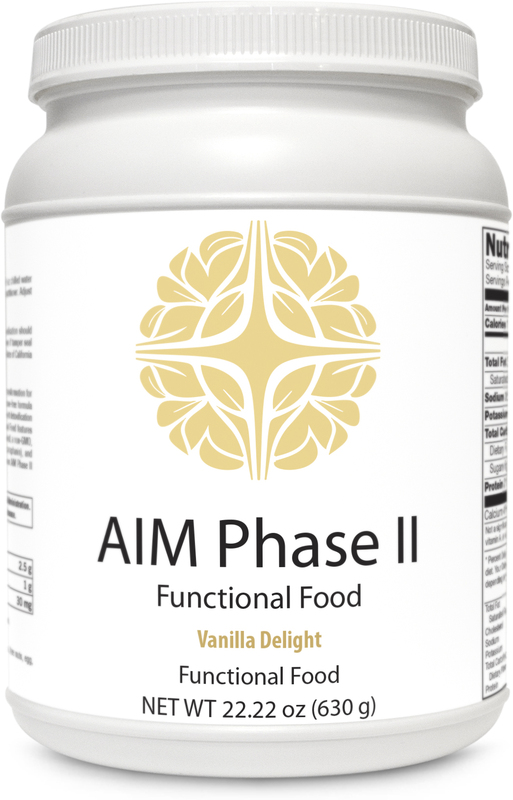 AIM Ph II represents an innovative approach to biotransformation for individuals whose health is constantly challenged. This all-natural, fructose-free formula includes ingredients that promote overall gastrointestinal health, support detoxification mechanisms, and a balanced immune response. AIM Ph II features patented and proprietary ingredients, including 21 grams of VegaPro™, a non-GMO, vegetable-based protein, as well as IgG 2000 CWP™, OncoPLEX™ (glucoraphanin), and arabinogalactan, a prebiotic. Patients have reported best results when AIM Ph II is combined with a modified elimination diet.